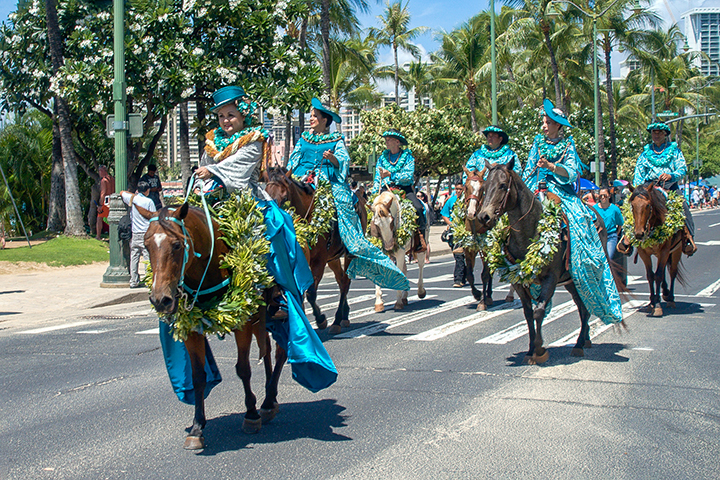 Pa’u riders in the Aloha Festivals. The Aloha Festivals is a celebration of Hawaiian culture. It is the largest of its kind in Hawaii as well as in the entire United States. It first began in 1946 as a week-long event and organizers originally called it Aloha Week. The festivity was to be celebration of Hawaiian culture, music, dance and history. It was also to be a means to perpetuate them among all local residents. Members of the Junior Chamber of Commerce in Honolulu originally came up with the idea. They wanted to find a way to honor Hawaii’s heritage through public festivities. The idea of Aloha Week eventually spread to other islands and became a statewide tradition. In 1991, Aloha Week became the Aloha Festivals as its activities were now extending beyond a week. As it has the largest population in Hawaii, Oahu hosted many of its major events. The celebration is the result of thousands of volunteers who put these events together. Well over a hundred thousand people now attend the festivals, comprising both local residents and visitors. Because of this, some consider it to be Hawaii’s largest party. Today, the Aloha Festivals are a collection of more than 300 events, spanning across the islands. Due to their massive undertaking, the festivals now take place over a two-month period. The celebrations start in September and continue into mid-October of each year. They kick off in Oahu with a parade, with the opening ceremonies taking place at the Royal Hawaiian Center. Hula performances and a giant block-party, the Downtown Ho’olaulea (or party), follow the opening ceremonies. This downtown event features live music, food vendors, arts and craft exhibitions and much more. One particular tradition is especially fun and interesting. This is the selection of a king, queen, prince, and princes for each of the major islands in Hawaii. The honorary court wears traditional cloaks, headwear, ornamental feather lei and other symbols of ancient ali’i or Hawaiian royalty. In addition to this, each island has its own version of the activities being on Oahu. So whatever island you choose, you will have ample opportunity to see a wide range of festival activities. 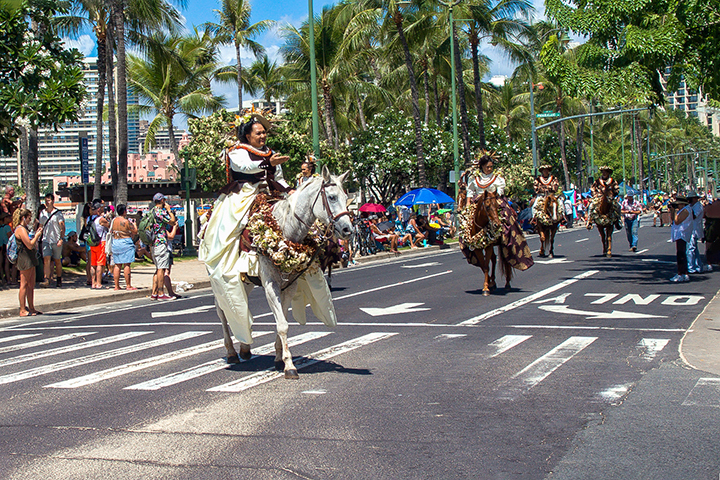 The festivals are the result of tireless efforts by those who cherish and honor Hawaii’s past. These people seek to keep the tradition alive through this state-wide celebration. If you vacationing in Hawaii during this period, it would be worth incorporating the festivals into your plans.